Check out Divyanka Tripathi's latest pictures. 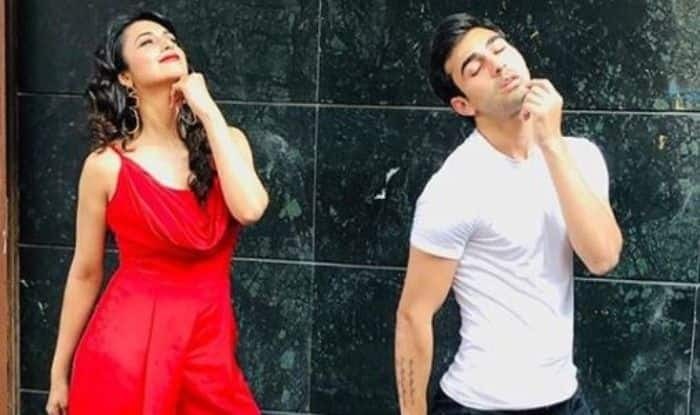 TV actress Divyanka Tripathi, who rose to fame after playing the lead in Ekta Kapoor’s Yeh Hai Mohabbatein, is taking some tips these days from her co-star Abhishek Verma. It is a common belief that stars are born posers but some need help from their friends and similar thing happened with Divyanka. The lady shared a couple of pictures in which her co-star can be seen teaching her some good poses. Dressed in a red gown, the lady looked stunning. I'm always clueless about how to pose and see…I'm a fast learner!!! Thank you teacher. She is one of the talented actresses of the small screen who has won many awards for her performance. Widely known as Ishita, the character she plays on-screen in Yeh Hai Mohabattein, is ruling millions of hearts globally not only for her incredible acting skills but also for an amazing fashion sense. Be it ethnic or western wear, she knows how to carry each and every look in vogue. Every time she steps out of her house, casually or dressed up, she leaves all of us fascinated with her fashion game on point. On a related note, she is currently seen as a host of the singing reality show.